This single family home is located at 41 Church Street and is available for sale. Applications to purchase this home are now available. This single family three bedroom home is approximately 1,239 square feet and sits on a .14 acre lot. This home features three bedrooms, 1 bath, 2 bedrooms on the 1st floor and 1 on the 2nd fl, breakfast area, fireplace, front porch, enclosed porch in rear, unfinished basement and one car garage. The Town of Bedford is located in the northeastern part of Westchester County and contains the three hamlets of Bedford Hills, Bedford Village and Katonah. 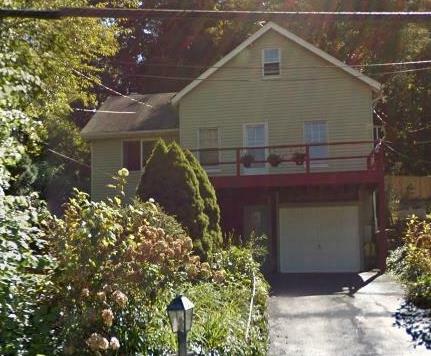 The property at 41 Church Street is located in the Bedford Hills. The Town is bordered to the west by Mt.Kisco, to the south by Armonk, and to the east by Pound Ridge. Both hamlets have shopping and business centers. Major shopping is also available in nearby Mt. Kisco. The Town’s Recreation & Parks Department offers swimming lessons at its three hamlet pools; summer camp, including a six-week day camp for children with special needs; Dog Park; seasonal sports programs; and programs for seniors. The properties are conveniently located to I-684, a major north-south roadway which connects to I-287, and to the Saw Mill River Parkway which is also a major north-south roadway. Both properties have access to the Metro-North Harlem line in Katonah and Bedford Hills and are served by the Westchester County Bee Line Bus Route along nearby Route 117 at Babbitt Rd at Harris Rd for 41 Church St.
Children at the Bedford Hills property would attend Bedford Hills Elementary School (K-5), the Fox Lane Middle School and the Fox Lane High School, all in the Bedford Central School District. Those at the Katonah property would be served by the Katonah-Lewisboro School District and would attend the Katonah Elementary School, the John Jay Middle School and the John Jay High School. The Northern Westchester Hospital in Mt.Kisco is the closest hospital. The Katonah Museum of Art, John Jay Homestead and the Caramoor International Music Festival are cultural attractions in the Town. There are three public libraries in the Town, one in each hamlet.